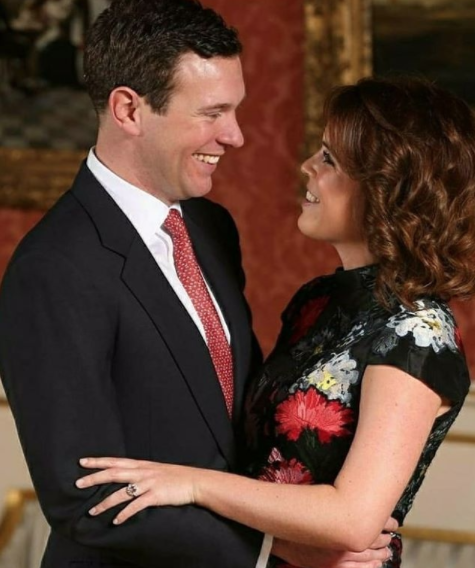 Princess Eugenie just announced her engagement to her longtime boyfriend, Jack Brooksbank–in the official portrait announcement, she offered the all-important glimpse of her stunning engagement ring. In the newly released photographs from Buckingham Palace, Eugenie is seen wearing an oval padparadscha sapphire and diamond halo engagement ring. 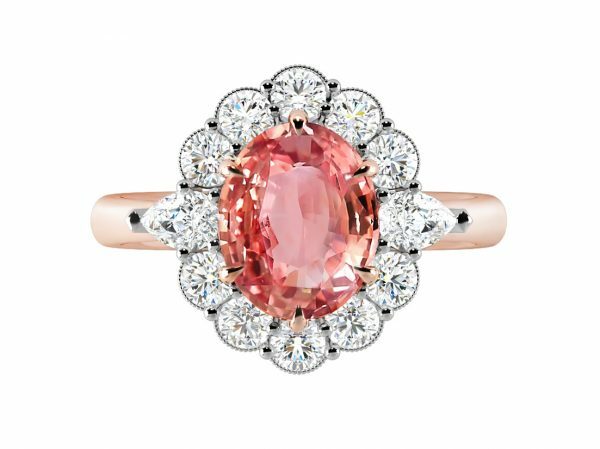 The term “padparadscha” derives from the Sinhalese word for aquatic lotus blossom, which bares an unusual salmon colour. Padparadscha sapphires straddle the colour boundary between pink and orange, making them uniquely beautiful and rare. From the portraits, we think that the band and centre sapphire setting is rose gold, while the setting of the diamond halo appears to be in a white metal–either white gold or platinum. 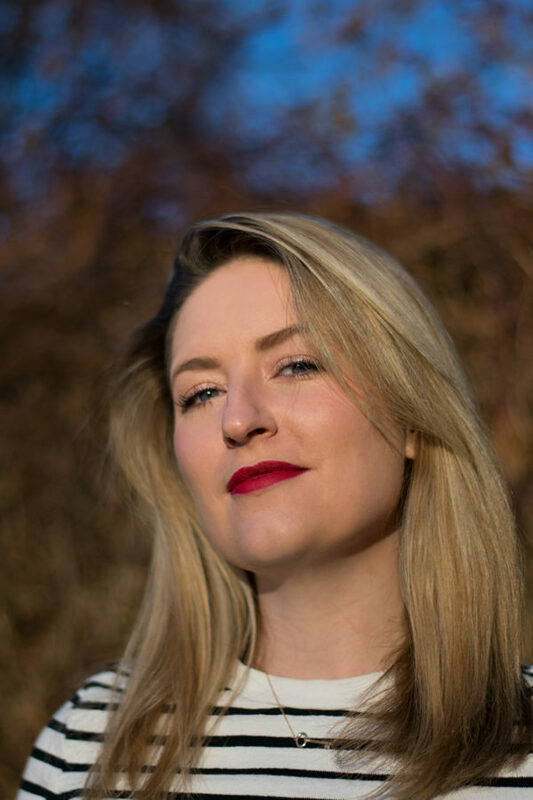 Brooksbank had sourced a padparadscha sapphire ring but proposed to the Princess without it, choosing to return home to add the diamond halo to the design together. He loved the padparadscha sapphire so much because it changes colour from every different angle, which is how he sees Eugenie. How much does Princess Eugenie’s engagement ring cost? I would say the padparadscha sapphire weighs between 2-3 carats and would estimate its value to be in the region of £15,000. 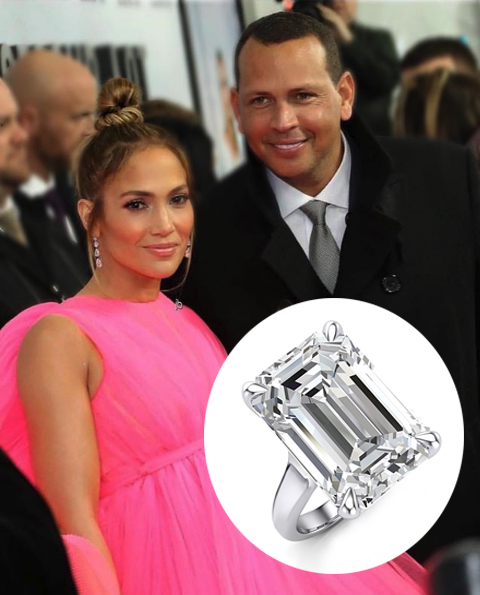 I’d hazard a guess of the total cost of the ring being around £25,000. The halo appears to feature round diamonds with two pear shape diamonds flanking either side of the centre sapphire. Below is our very own replica of the ring design. The couple will wed in St. George’s Chapel at Windsor Castle in autumn 2018, just a few months after her cousin, Prince Harry, and Meghan Markle will on 19th May. 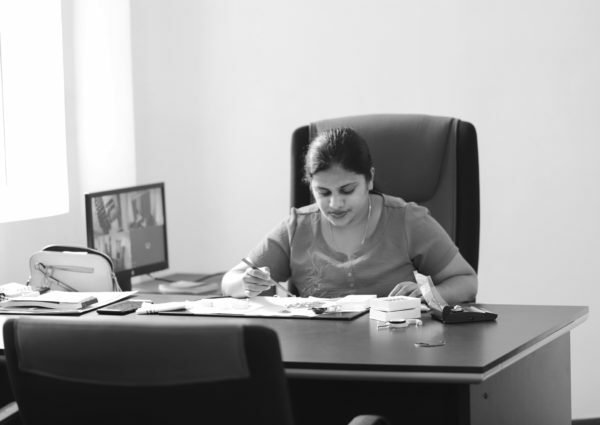 Further details will be announced in due course. “The Duke and Duchess of York are delighted to announce the engagement of Princess Eugenie to Mr. Jack Brooksbank,” her parents said in a statement. The groom’s parents, Nicola and George, also welcomed the news, saying they “couldn’t be more delighted”. Jack and Eugenie first met in 2010 on a skiing trip with friends in Verbier, Switzerland. Eugenie and Jack have been dating for around seven years and got engaged earlier this month whilst visiting Nicaragua. Not only is the ring incredibly on-trend, featuring a coloured centre stone and rose gold, but its blush colour palette will complement Princess Eugenie’s complexion.